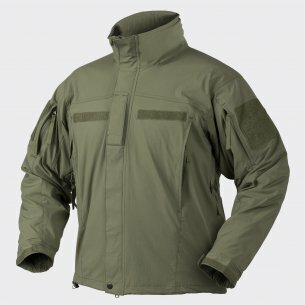 Winter jacket available in 5 colors / camouflages: black, coyote, camogrom, shadow grey and alpha green. In the past, if someone was buying something, he would make it a comfortable and warm thing. Nowadays, however, the priorities have changed a bit and the appearance of the thing you are buying is also largely considered. All the more so if it is an external element of the outfit, such as a winter jacket. It is also a very important thing that is taken into account when choosing the same jacket is its quality. 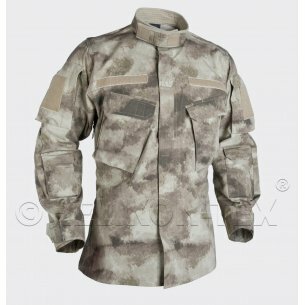 That is why many men put on a helikon tex level 7 jacket because it is a reliable jacket in many respects. Some men, if they are to buy a jacket for the winter, buy a down jacket because they think that this jacket will be the warmest one. In such jackets, however, slim people look much better than fat and obese people, because it is known that if the jacket has fluff it must be a few centimeters thicker, and consequently, if a fluffy person puts on such a jacket, it will look like even more fluffy. It is also a down jacket that is more willingly chosen by slim people. This jacket is eagerly chosen by many men, because it has a very practical two-way zipper, which is ideal if we want to firmly support, because then it is enough to unfasten the bottom zipper and we will be able to bend freely, without any discomfort on the part of the jacket. What's more, the jacket level 7 helikn has a welt at the bottom of the jacket with a stopwatch and velcro sleeves. It is a very good protection against external factors. This men's jacket is additionally characterized by a thermal strip along the zipper, which is a great heat insulator. In addition, the men's jacket has a high collar lined with a fleece with a chin protector, as well as a retractable hood in the collar. This is a great thing, because not only is the neck extremely warm, but in the event of any adverse weather conditions you can always pull the hood from the collar and put it on your head. Many men do not like to get dressed even in the winter. They also look for a light winter jacket. This jacket is the Helikon Tex jacket. 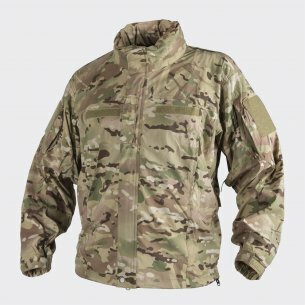 This jacket, despite the fact that it is extremely light, guarantees very high insulation as well as protection against frost, light rain and wind. It is thanks to the insulation that a lightweight winter jacket has is so warm. Insulation causes that the heat does not escape outside. 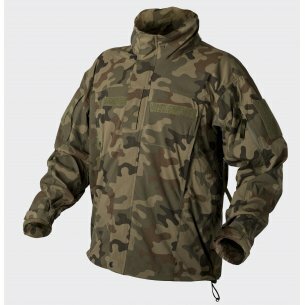 In addition, this jacket has a nylon shell with a Ripstop weave, which also causes that adverse external factors do not get into the interior of the jacket. Each man has different expectations when it comes to a winter jacket. However, all men think that a winter jacket should be warm and resistant to weather conditions. In addition, it would be good if she had several pockets. However, it is best if the pockets are closed with a zipper and were located on both the chest and the bottom part of the jacket, as well as inside the jacket. This is also the jacket for helicon tex level 7 designed for such demanding men. This jacket has a lot of advantages. That is why it is so eagerly bought by men. Men's helikon tex level 7 is available in several solid colors and in camo color. Thanks to this, every man will certainly be able to choose the color that suits his tastes most. So if someone wants to buy a decent jacket, which will serve him a few nice years, he should choose the jacket helicon tex level 7, because it is the highest quality jacket. So when you buy a male helicon tex level 7, you do not have to worry about it breaking through the seams, or because it is light we will be cold. These things in the company's jackets are unacceptable and impossible.